These single strand pearl necklaces are made with petite freshwater pearls in lovely organic baroque shapes. Uniquely stylish and effortless to wear. Amazing as a gift, wrapping is included at no additional charge. Measuring 17 inches (43 cm) in length the individual pearls measure between 10-13mm x 6-8mm. Baroque and irregular, each is naturally different from the next. 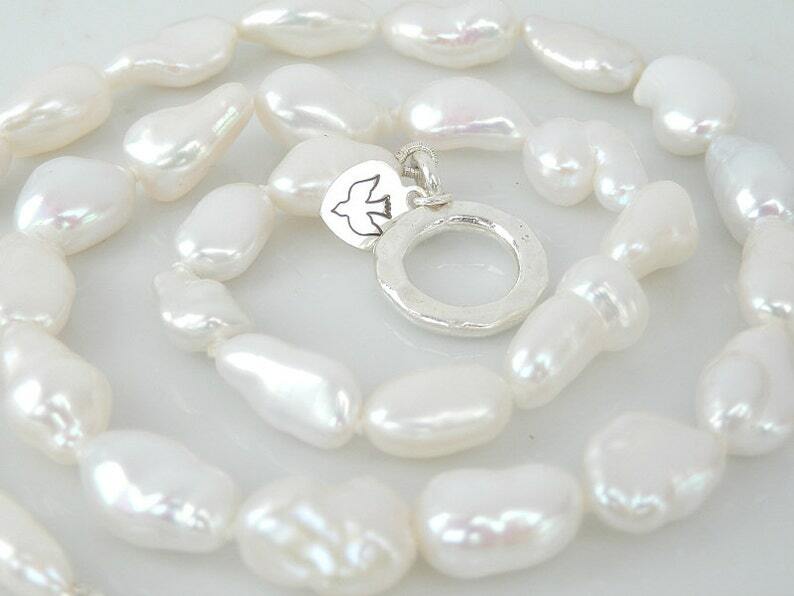 Each pearl has been hand knotted with soft, durable and washable knotting thread. Finished with a hammered sterling silver toggle clasp and accented with my signature Bluebirrrd Dreams charm.